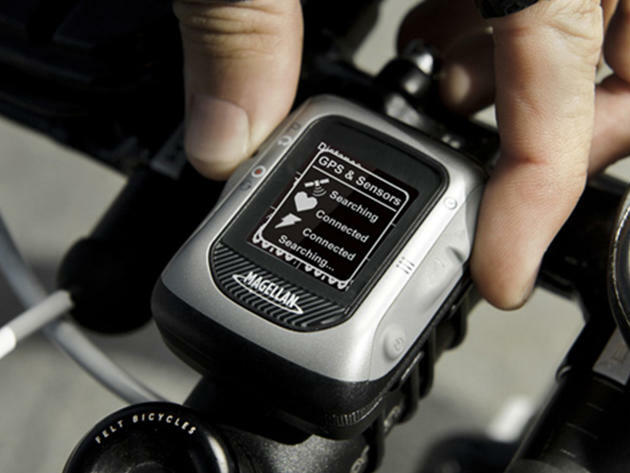 Who needs a Fitbit when the Magellan Switch Up GPS Watch can perform the same functions for hundreds of dollars less? At just $39.99 — marked down from $249.99 — you can track workout time, distance, pace, calories, and more…right from your wrist. What sets this smartwatch apart from the rest? Let's start with its GPS sensitivity, which calculates the user's location during the entire workout. Plus, its innovative ANT+ technology lets you link it to third-party ANT+ sensor such as foot pods, bike speed sensors, and heart rate monitors — meaning you'll get an in-depth view of your performance during any workout. You can even create nine different activity profiles for different sports, or just record multisport activities as one single workout — it's up to you. Set your own workout goals according to time, distance, and pace with the built-in Activity Pacer. And if you want to go underwater? You can do just that thanks to its 50-meter water-resistant capabilities. Get started taking your workouts to another level: get the Magellan Switch Up GPS Watch for 84% off — just $39.99 for a limited time only.